When your sidelined with a running injury, do not let a temporary road block take away your runners spirit. Some might think that in the middle of a long run, when your feet feel like they are on fire, when your chest feels as if it will implode with the very next breath, when every part of your body wants you to shut it down and stop, that that might be the hardest part of running. Although you may not believe it…not running is the hardest part of running. The hardest part of running, for many if not most runners, is not being able to run. It will happen to all of us sooner or later. One day because of an injury we will not be able to lace up our shoes and go for a run. When that time comes, we pray it’s only temporary. When I can’t run…I’m not such a nice person. When I see a runner out enjoying their day. I hope they see a snake. On some occasions, I may have wished that their beefy and spicy burrito came back to pay a visit when farthest from their home. I may be guilty of hoping for some chaffing in an uncomfortable spot. Or maybe that things bounce or swing a little too much? A quick word about Running to Leadville. I wanted a running story that would inspire and motivate. I wanted a story to uncover the drama of running 100-miles coupled with a tale about uncovering the demons within. I also wanted a story which would uncover the ultra-marathon lifestyle. So I wrote Running to Leadville. Available on Amazon and signed copies direct from my blog. When I can’t run, I enjoy seeing runners getting in their miles. It brings me immense joy to see the world in motion and to see a fellow runner out in the day. To keep my runners spirit, I give a wave or a silent high five to the unknown runner who crosses my path. To me seeing another runner on the go reminds me that better days are ahead for me. I take solace that I’ll again be part of the motion and that there is promise of a better tomorrow. Just because I can’t run today, does not mean I am not the runner who will run tomorrow. If for some reason your forced onto the sidelines…don’t lose that runner spirit. Keep your runners’ high alive, encourage your running friends, smile at those who can run and enjoy in the victories of others. The race does not go to the person who runs today…the ultimate victory goes to the person who continues to be a runner, even while sidelined. How do you keep your runners SPIRIT alive? This entry was posted in Uncategorized on October 30, 2017 by burk.brian@yahoo.com. It’s easy to write about the running experience on a perfect day. It’s easy to write about the results of a flawless race, a personal record or a race win. It’s not so easy to draft a race report about a run that went terribly wrong. The conflict is that we often learn more from a bad experience than we do from a good one, hence we should share those experiences where things went wrong to avoid making the same mistake, again. 1. I didn’t need a headlamp. During my first JFK50, I really did not factor in what the day light conditions would be. It was mid November and an early morning start. I figured I would need a headlamp. Race morning standing on the street light lined roads with the sun coming up it hit me that I would not need the headlamp that was resting on my forehead. I considered tossing it to the side of the road and writing it off. But , that was a thirty dollar headlamp so I removed it and tucked it into my shorts pocket. For the next 50 miles…..I fought a near losing battle trying to keep my shorts pulled up. The extra weight of that headlamp caused my shorts to ride low….ALL…DAY…LONG. 2. Went out to fast, again. Most have done it. We know we shouldn’t…we are smarter than that, but still. I found myself sitting on a log at mile 20 of my first 50k completely gassed. I was capable of running the distance, I was fit…I had the racing smarts. BUT…I got caught up in the excitement of the day, the challenge of a new distance, and sucked into a pace I could not keep up. I was done. Shameless plug for my book. 3. I cheated on my plan. I planned to run a sub-four marathon. I was committed to the plan and to stay with the sub-four hour pace group. Then I saw the 3:55 pacer sign in front of me. I was hooked, I was smitten, I lusted over this new goal. All went well until mile 20 where I was dropped from the 3:55 group. I tried to regain control of my day yet eventually I could no longer keep up with the four-hour group. 5. Cheap socks…will let you down. In the early morning hours of my race day, I tried to sneak out of our bedroom with awakening my wife. In my ninja mode I snagged a pair of socks from the draw and put them on. Advance forward to the starting line of a 50-mile race when the gun went off. At around mile two something in my right shoe felt off. At mile three I could feel my heel riding against the back of my shoe. At mile 3.01 it felt as if my sock was halfway off of my foot. I pulled over to the side of the trail, sat down in the dirt and removed my shoe to find….my sock halfway off my foot. I fought those ill fitting socks all day long. First the right then the left then the right…..50 miles of cheap sock fun! What has been one of your worst case race events? This entry was posted in Uncategorized on October 27, 2017 by burk.brian@yahoo.com. I’ve run four 100-mile races, and at times I ask myself why? There’s something about the number(s) that draw me. 100…it’s a simple number but also one that is complex. The number 100 to me represents a new frontier, a barrier and a significant milestone. 24-hours like 100-miles is a significant number. It may simply be a measurement of time but it is also so much more. 24-hours in a simple fashion represents life in its purest form. In a 24 hour period like our lives we are born into the day and in 24 hours our physical life on the planet will end. 100-miles and 24-hours to me are linked together to form the almost perfect measurement of our (my) endurance and I guess that is why I’m drawn to run 100-miles in one day. Available on Amazon or SIGNED copies off my blog. When other people hear about my 100-mile races, I’m nearly always asked the same questions? How do you keep moving? You simply do. Forward progress is the name of the game, no matter how bad you feel, how bad your feet hurt or how messed up your stomach is…you simply never stop putting one foot in front of the other. I stay in the moment. I stay focused on taking that next step. For 24-hours, that is the only thing that means anything to me. Do you eat? Yes, you have too. I start refueling almost from the first step. I eat small bites of good energy fuel/food all day long. Unlike a car’s fuel tank that you can fill up when empty, if you wait until your empty to refuel, you will lose your stomach. More 100-mile runs end on stomach issues then muscle issues. I add small amounts of fuel all day to try and keep my tank full, or as full as it can be. What do you eat? I eat a lot of simple foods, power gels and easy to consume drinks. I pack food bags with items such as, apple sauce cups, bagels with peanut butter, power bars, gels, and miniature candy bars. At the aid stations, I look for boiled potatoes, salty snacks, PBJ, cookies, and warm chicken broth. And if they have pizza BONUS! Food selection during a 24-hour run or 100-mile race is very personal. Are you running the whole time? I’m moving “nearly the whole time.” During my last two 100-mile races, Umstead 100 – 2017 and Yeti 100 – 2017, I spent very little time off my feet. The only time I was not moving during Umstead was when I stopped to get some small rocks out of my shoes. Total time off my feet may have been 15 minutes. During the Yeti 100 I was never off my feet. The only time I was not moving forward was while I was at the aid stations getting my water bottle filled and selecting my food items for the next leg of the race. With food items on hand, I eat on the go. As for the running part of this question…the elite level guys I believe are running near the entire time. Most amateur 100-mile runners use some form of run/fast hike program. During the Yeti 100 I started the race utilizing a 6/2 ratio of run/hike. Run 6 minutes/hike 2 minutes. This cycle lasted the better part of 35 miles. The hardest part of this ratio was keeping up with my watch. For the majority of this I was running with a friend who had his watch set up with reminders of when to run/hike. When we separated at 30 miles, I had to keep up with the time intervals on my own. As I got tired I needed something simpler (math wise) to keep track of on my watch. I began a 5/5 run/hike ratio. This lasted until night fall when I could no longer see my watch (around 60 miles). Then I ran/hiked by feel. I ran as long and as hard as I could, hiked until I caught my breath then did it again, and again and again. I finished the YETI 100 in 22 hours 47 minutes and 45 seconds. Do you change shoes? No. If it’s not broke don’t fix it. For all four of my 100-mile races I ran in one pair of shoes and socks. Although I have seen other runners do multiple shoe/sock combo changes mid race. How long does it take? Most 100-mile races have a 30-hour cutoff. I’ve finished all four of my 100-mile races have been Sub-24 hours. The event winners normally finish around the 15-hour mark depending on the challenges the course offers. How do you keep running all alone, in the dark, at night? I stay in the moment. If I start thinking about the what if, how far I still have to go, or the things that go bump in the night I might just lose it. I focus on moving forward as fast as I can. I do not let my mind wonder much further then the next step on the trail. Do you have a question about running 100-miles, comment below and I’ll be sure to answer it the best I can. This entry was posted in Uncategorized on October 10, 2017 by burk.brian@yahoo.com. Races like people have their own unique character, and the Yeti Trail Runners race series and the YETI 100 have a lot of character. AND I love it. 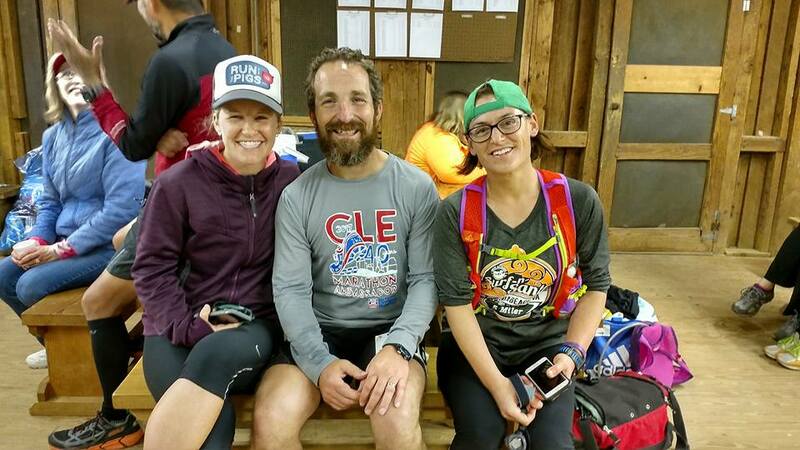 The YETI 100 was an experience I got to share with a few of my running family, Andrea, Josh*, Elisa* and Ruthie along with a number of others runners I’ve made connections with along my ultra-running adventures. The YETI spirit is trail running and more on point the ultra-running community as a whole. We run long distances, we help each other, we have fun, we suffer, we live in the moment, we look to the future and we dance in our success AND the success of those we run with. 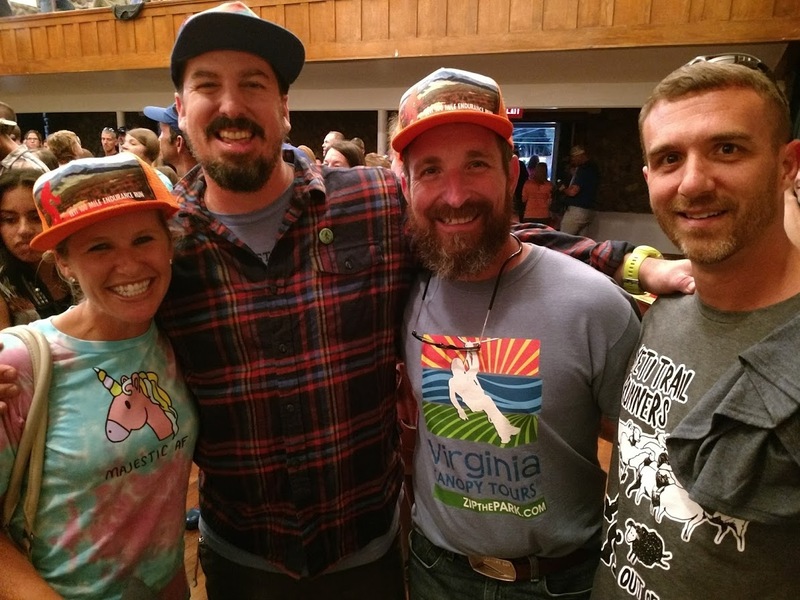 The YETI 100 is an awesome event, held on the Virginia creeper trail. The race starts atop Whitetop mountain, runs downhill, approx. 1875 ft, through Damascus, on to Alvarado Station where it begin a approx. 600 ft climb to Abingdon (33.3 miles away) where runners turn around and repeat the leg two more times…to complete the advertised 100 mile race distance. The short version of my race report is simple…HIGHLY Recommend this race! 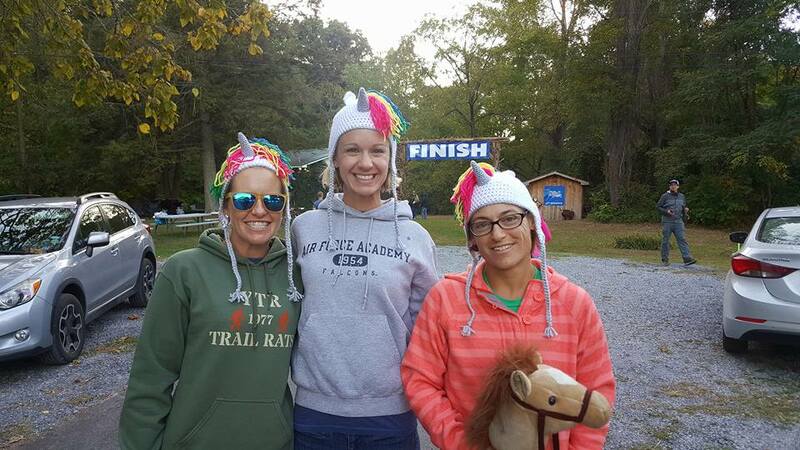 A 100 mile race is always an adventure. An adventure filled with emotions, drama, pain, suffering, and triumph. The mighty YETI shined down on us as WE ALL FINISHED. My YETI 100 finishing time was 22 hours 47 minutes and 45 seconds with a ton of laughs, stories, pain (one epic fall), and some great new friendships. I tried to capture the ultra spirit in my book Running to Leadville, and to celebrate my finish (2nd fastest 100 Miler) and to congratulate all YETI finishers I have a special offer. Running to Leadville…the 100 mile trail race is my dream race, and the topic of my first novel. A story about a young man who lived a hard life full of rejection, judgement and the absent of that special person in his life. Unexpectedly he finds love, acceptance, and his passion for running and writing. In a twist of fate when life seemed nearly perfect, he loses nearly everything. Running to Leadville is more than a running book, it is a tale about the small mining town of Leadville, Colorado, the 100 mile trail race in the extreme Rockies and it is a story about life. YETI 100 Finishers, Crew, Friends, Family, Unicorns and Bigfoot himself can purchase a signed copy today for $12.99 with free free free shipping (US orders only). The Lochnest Monster and Jaws (my “other” two childhood fears)….they has to pay full price. This entry was posted in Uncategorized on October 2, 2017 by burk.brian@yahoo.com.